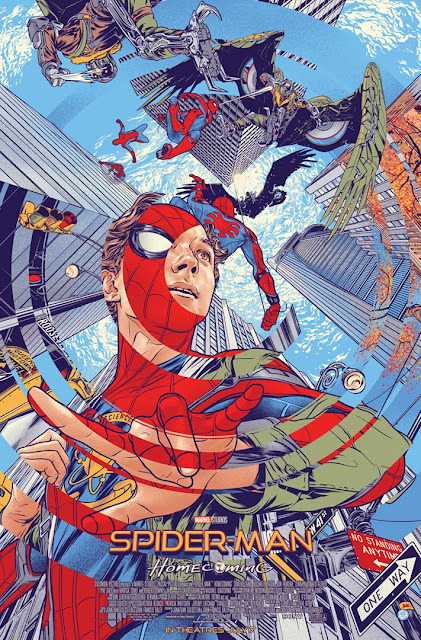 Mondo has teamed up with popular artist Martin Ansin to release this killer new movie poster for Marvel’s upcoming film, Spider-Man: Homecoming! Sadly, it is not being released as a screen print. Instead it is a Cinemark Theaters exclusive, which will be given out as an in-theater mini-poster to Cinemark Connections members who see the film on opening weekend in either Real 3D or Cinemark XD. The Blot really hopes Mondo can eventually release this fantastic poster as a full size screen print one day!